Drupal is a free, open source web development and publishing platform that is created by a group of professional and vibrant web developers' community. 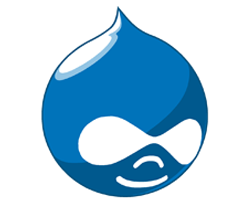 Drupal is one of the most easy to use web development platforms. With Drupal you can easily edit the content on your websites. Besides, you can upload new image, create new pages instantly even if you don't have knowledge of HTML. Drupal has several integrated modules that helps you in handling news articles and robotically publish the content on your website. ASPHostDirectory.com makes it easy to get setup with an auto-installer for Drupal 8.6.12 and ensure that the updates are available within 24 hours of our release, to help maintain your Drupal website’s security. ASPHostDirectory.com is the ideal choice if you just want a cheap & reliable Drupal 8.6.12 web host. Sign up for our UK Drupal 8.6.12 Hosting with no risk to try our excellent service start from £2.00/month! ASPHostDirectory.com offers cheap Drupal 8.6.12 Hosting to all our new and existing UK customers. You can try our services before buy it. Get FREE 7 days Trial Hosting with us. There's no obligation to buy — you can upgrade to a more robust account or cancel at any time. No risk anymore, why wait longer?